Crime fighters scour Facebook, Twitter, Instagram and other sites for information. Twitter, Facebook and Instagram are popular platforms to share what is happening in your life but it turns out that information is also subject to search by the police. 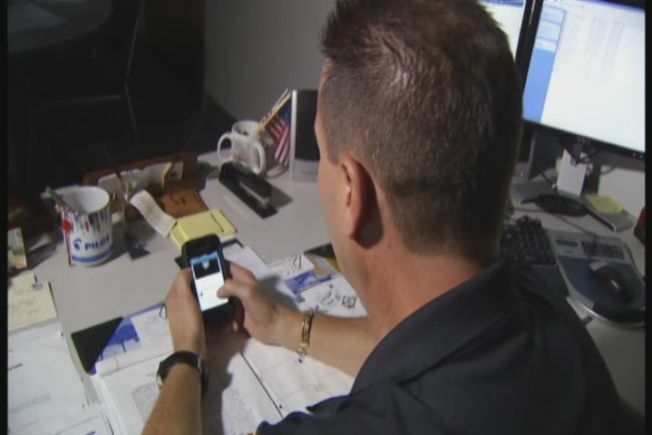 Savvy police departments across Connecticut are now scanning those applications with your posts and pictures, in order to crack cases and solve crimes. Branford Police Captain Geoff Morgan says social media has become one of the most useful tools in gathering evidence and identifying potential suspects in the last two years. Friend lists and followers reveal the best information for criminal investigations, because often users do not secure their privacy settings. “Posting that on the internet allows me to see where you work, who you're friends with, who your social friends, who your work friends are and go along that line,” he said. Captain Morgan deploys officers to sift through lists on Instagram, Twitter and Facebook to solve theft and drug crimes. “We utilize a team of people called matrix officers,” Morgan explained. These officers build undercover profiles, then ‘friend’ and interact with potential offenders who don’t seem to think twice about accepting a request from someone they have never met in person. “We have a number of officers who are readily out there on accounts with other information or pseudonym names, or aliases, that collect a tremendous amount of intelligence from the [17-18 year old] age groups,” Morgan said. “[They] freely get invited into blogs and websites and will collect a lot of intelligence that way." In Madison, the police department employs similar tactics. They also monitor suspects through LinkedIn, the popular professional networking site. “They can join certain groups that are of concern to their profession and it opens up situations where you can have dialogue with other people,” Madison Police Commander John Rich told the NBC Connecticut Troubleshooters. Rich adds that most social media users don’t seem to realize smart phones can reveal their exact whereabouts with a snap of a picture. “Many of these smart phones or devices people are using, tablets and what not, which have a locator feature in them. So at times you can actually identify where a person is located when they're actually posting or logged onto a certain site,” Rich explained. The 4th Amendment of the Constitution prohibits unreasonable searches or police hacking into your accounts but once you start publishing content on any platform, your rights decrease dramatically. UConn Law School professor Rich Kay explains once you post content online, your waive many of your rights because the information – no matter your privacy settings – becomes accessible by association. This means it becomes largely public. While the police take advantage of everything they find on social media, they want members of the community to know that criminals do too. According to Branford Police, their officers must obtain official approval to establish pseudonym accounts online to monitor criminal activity. Branford Police also utilize an official Twitter account to publicly disseminate important information for the community, such as crime reports, safety warnings and town services during inclement of weather.